January | 2017 | This will all make perfect sense someday. January 29th. I love it. Before you say anything, I know I didn’t write last week. First up this week, taking my Praxis. I love it. Or rather, I love that it’s over. I studied for 3 weeks to take the English Praxis II because one day, is love to teach English. I took the test on Thursday and now I have to wait a month to see if I passed it. Fingers crossed! Next up, catching up on work. I love it. Things have been crazy at work and I’ve been extremely limited on the amount of teaching prep I get every week so I took yesterday and today to get it done. I wrote 2 iBooks for my classes, made templates for our next unit, and worked on a project to help my students stay organized. Finally, marathons. I love it. Last time it was Indiana Jones but this weekend was Star Wars. Non. Stop. Yesterday morning I started with Episode 1 and I got through episode 4. 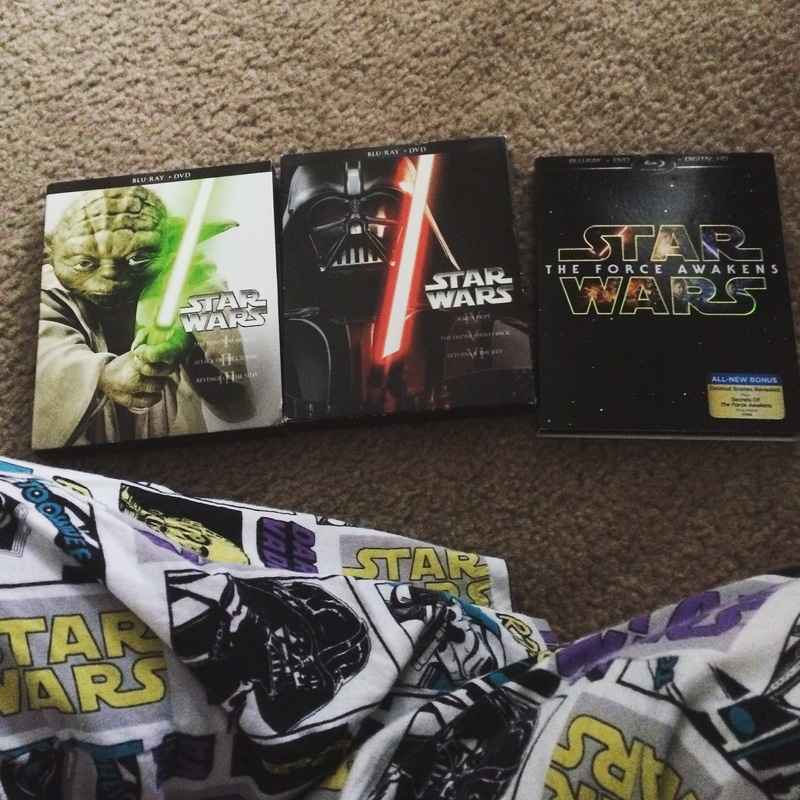 I finished up today with The Force Awakens but still wasn’t satisfied so now I’m watching The Clone Wars on Netflix. What’s the next marathon I should have? One of my favorite authors since high school has been Trenton Lee Stewart. I fell in love with his writing when I just happened to pick “The Mysterious Benedict Society” off of the shelf one day and his latest adventure is no exception. 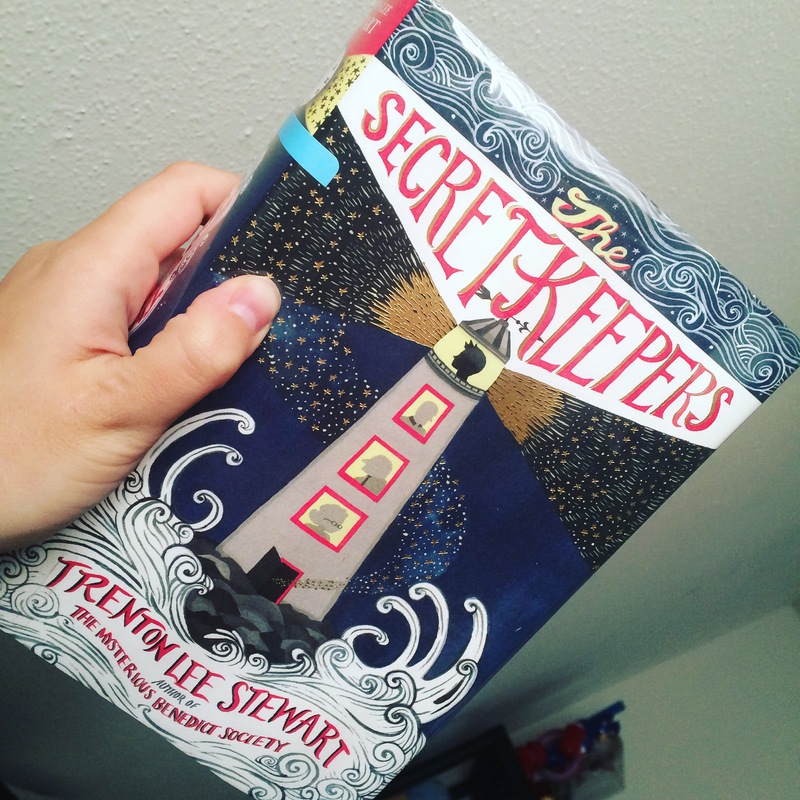 The Secret Keepers is about a young boy who finds solace in finding intriguing hiding places. After one attempt to find a new space for himself, he happens upon a watch. But is isn’t an ordinary watch; it see that it doesn’t tell time. After a ton of attempts to figure out what it’s supposed to do, he Connor finds out that it can make him invisible. But like all magic, it comes with a price and he is temporarily blind when he uses it. Connor and his mom are in a tight spot financially so he sets out to find out the worth of the watch. After visiting several shops, he learns that it’s very valuable and the most important (yet unseen) man in the city wants it too. They call him The Smoke. The boy does a lot of research and actually finds out who the watch belongs to so he sets out to find their family. This leads to a lot of danger and chaos (and booby traps) in an attempt to keep the power of the watch out of the wrong hands. January 15th. I love it. First up this week, reading. I love it. Some people binge watch TV shows but I binge read books. This week I read 3 books- To Kill a Mockingbird, Harry Potter and the Cursed Child, and The Horseband His Boy. I didn’t turn the TV on at all yesterday and read til my eyes hurt but it was so worth it. Next up, Vanilla Latte Pop-Tarts. I love it. I splurged on Friday and got a box of the Dunkin’ Donut Pop-Tarts. They are heavenly. They’re even better if you put them in the freezer. Finally, Indiana Jones. I love it. After reading all day yesterday, I decided to give my brain a break today. I realized that all of the Indy movies are on Hulu so I’ve been enjoying myself all day. January 8th. I love it. First up this week, rain. I love it. This was a miserable, dreary, week but I loved it! It was rainy which is perfext for reading. It was also freezing (it got down to 28 degrees yesterday) which was even better because it meant that I didn’t have to leave my house all weekend. Those are my favorite kind of days! Next up, finishing my first book of the year. I love it. My goal for this year is 25 books (it will probably be more but I’m anticipating living with Bud again in the next few months) so my first book of the year was by Trenton Lee Stewart. He wrote the series “The Mysterious Benedict Society” which I love. My next book is “Harry Potter and the Cursed Child.” Yay reading! Finally, movie marathons. I love it. I spent the morning cleaning (Reset Sunday is my favorite) but around lunchtime I started watching movies. I started with “Twilight” and naturally when to “New Moon.” Since I don’t have the rest of the series, I watched another Kristen Stewart movie, “In the Land of Women.” Because I like movies that all have some commonality, I watched “Zootopia” last (Ginny Goodwin is in “In the Land of Women” and the voice of Judy in “Zootopia”). 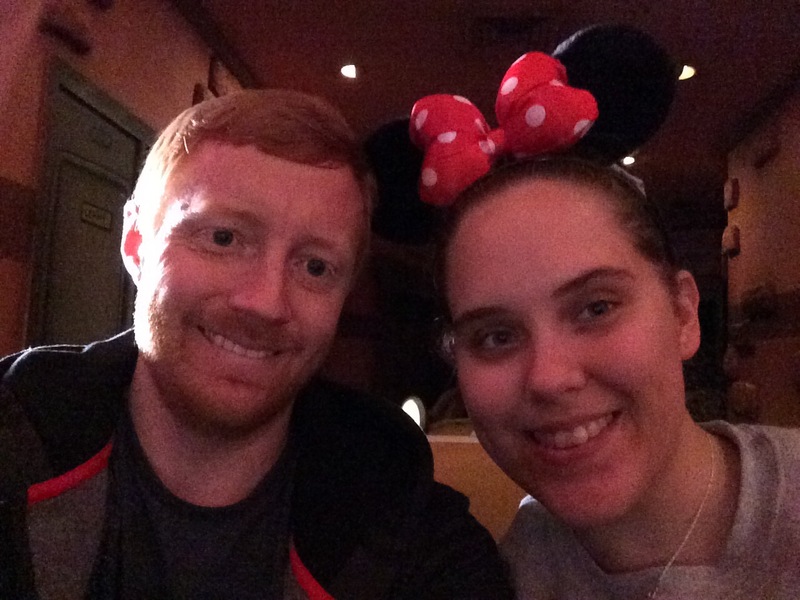 I’m 26 years old and over the Christmas Holiday, Bud took me to Disneyland! I’ve never been to any Disney theme park and I was so excited. Here are some pictures from the trip! Upside Down in the Middle of Nowhere * – my favorite book this year! What were your favorite books this year? Any suggestions for 2017? January 1st. I love it. I know I didn’t write last week, but it was Christmas and I was making rather merry. First up for the last two weeks, spending time with my brother. I love it. He was nice enough to let me stay with him in LA for a few days before Bud showed up. I watched a lot of movies (and saw Rogue One and La La Land), ate good food, and relaxed. Perfect way to start a vacation. Next up, Disneyland. I love it. It was my first time there and we got everything we wanted to do accomplished (including getting my Minnie ears). We were at the park from open to close and it was magical. A more descriptive post is coming soon. Finally, New Year’s Eve traditions. I love it. Despite the fact that I wasn’t on my home turf, I still managed to watch Twilight Zone like I always do. To make up for the rest of my traditions (cheap frozen pizza, ice cream, and a deep clean of the house), I’m working on that stuff today. Better late than never.